Attendees will also hear from keynote speaker Anne Miller, one of the world’s most successful inventors, leader on organisational change, and founder of The Creativity Partnership. Anne mentors organisations on issues relating to innovation, strategy, and change management. She has given numerous talks on sustainability, including through the prestigious TED talks. Before launching The Creativity Partnership, Anne was a non-executive board member for The Climate Coalition and British Antarctic Survey. 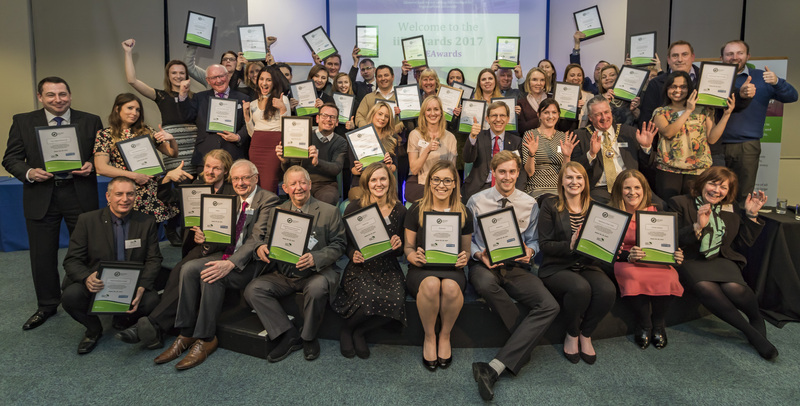 After the keynote speech, iiE member businesses will be awarded their Bronze, Silver or Green accreditation, plus at the Awards it will be announced who has won further accolades. There will be great opportunities for networking and celebrating the successes of those businesses that are demonstrating real environmental improvements. Refreshments and canapes will be available at this free event. The awards venue is 20 minutes’ walk from Peterborough Train Station and 15 minutes’ walk from the Bus Station. Parking is available too. The iiE Awards 2019 is sponsored by Haven Power, one of the UK’s largest business electricity suppliers. Powering businesses towards a brighter, more sustainable future, the supplier works in partnership with Green Energy Switch, the profit-for-purpose energy management solution, to save you time, money and effort. To register your place at this year’s Awards please RSVP by 15th April to info@iie.uk.com or book online at www.iie.uk.com. Join in the conversation online with #iiEAwards.